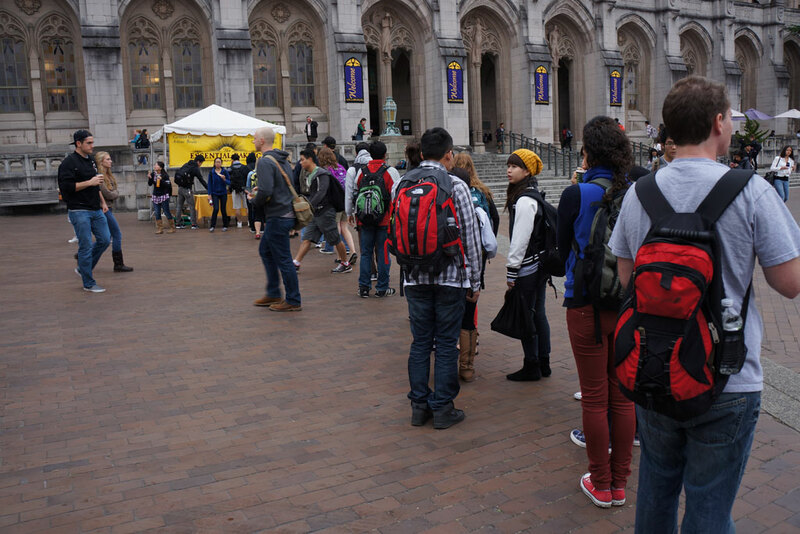 Students and Faculty lined up to sample our Gluten Free Super Seeded Multigrain and Gluten Free Seeded Cinnamon Raisin Bread at University of Washington’s Dawg Dayz 2012. We sliced tons of bread that day and had a great time talking to people, who had no problem telling us what they thought about our bread. Check out our video to see what they had to say.